You're all set! Confirm you want deals for WM. E.Donnelly Heating & Cooling in -zip-? Serving Northesst Ohio Wm. E. Donnelly Heating & Cooling offers HVAC service, installation and repair to commercial and residential customers. Founded in 1922, and originally located in Cleveland OH, the company was founded on the basic principle of putting the customer first and that philosophy has not wavered over the years. Wm. 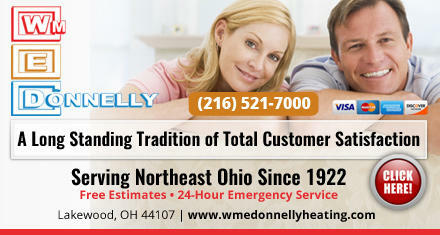 E. Donnelly Heating & Cooling takes pride in its focus on customer service and services all makes and models. Whether you need service on your current HVAC system, are interested in upgrading your service, are concerned about the indoor quality of your home or business, or are looking for a new hot water heater Wm. 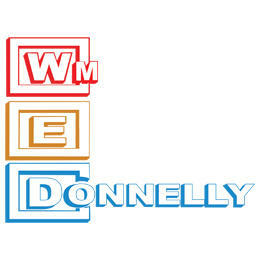 E. Donnelly can help you. They offer free estimates, up-front pricing and 24-hour emergency service.